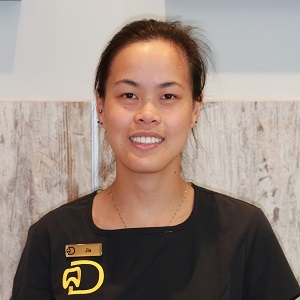 Dr Jia received her Bachelor of Dental Science from The University of Melbourne in 2010. She takes pride in having a gentle hand and treats patients with compassion and professionalism. She particularly enjoys supporting patients in confidently achieving healthy smiles, and is committed to creating a positive dental experience every time you visit our practice. Jia also consistently seeks to deepen her knowledge and skills in the dental field by undertaking continuation education courses and seminars. In her spare time, Jia enjoys travelling, cooking and spending time with her family, friends and cat – Neeko.